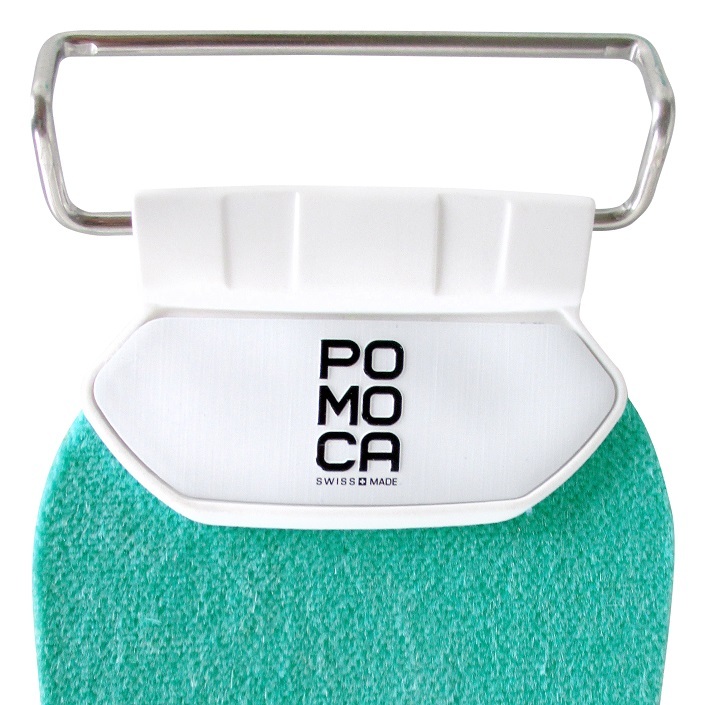 Pomoca skin attachments are available separately for your skin fixing pleasure. All parts are sold in pairs. Clock Lock Tips - Swappable tip attachment system that is screwed on to your skin and allows interchange of various sizes of bent buckles. Comes with a pair of 85mm, 95mm, or 105mm buckles. Tip Buckles - Interchangeable buckles that pop into the Click Lock Tips. Sometimes available in 66mm, 72mm, 80mm, 85mm, 95mm and 105mm widths to fit most ski tips. Z-Hooks - Bent-metal clips for skis with holes in the tips. The hooks insert into the Click Lock Tips. Fat Lock Tips - Special "freeride" version of the Click Lock Tips designed for fat tips. Back Fix Tail Clips - Adjustable tail attachments are basic straps with clips that slide forward or back to achieve the optimum tension. The kit comes with rivets to securely fasten the straps to your skins. 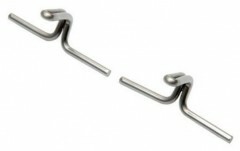 Twin-tip Tail Hooks - Set of clips designed for rounded tails. These slide onto the Back-Fix tail straps. Adhesive Tube - 75g of Pomoca’s finest glue, enough for a full renewal. 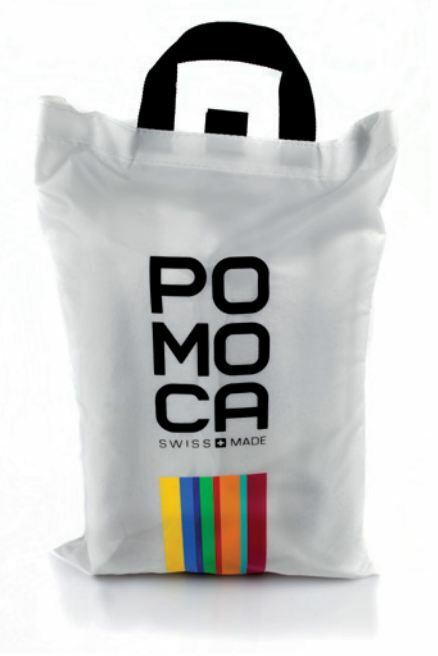 Comes with an all-temperature warranty: if you lose stickiness in any weather, Pomoca will change the weather for you. Just wait long enough. Carry Bag - Simple skins bag with Velcro closure and webbing handle. Hi Skimo - I’m afraid I’m in denial...is it true that I cannot buy a white replacement buckle for my Pomoca Tipon skins purchased just last year? That the best option is to convert to a BD tail, involving cutting the white tail off and installing the BD assembly with rivets? 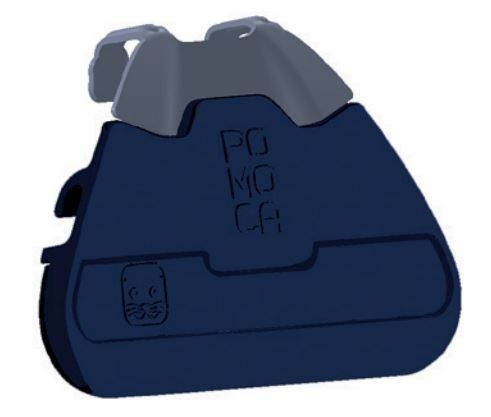 Hard to comprehend Pomoca not providing a repair kit for such a flimsy buckle, the only downside to an otherwise terrific product...hoping I am wrong! 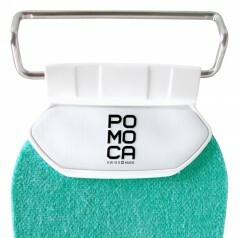 Hi Doug, Pomoca provides "Back Fix Tail Clips", a kit usually found here. Unfortunately we are out of stock at the moment. For what it's worth, we typically only see those broken when 1) jamming ski tails into ice/rock, or 2) over-tensioning the tail straps (tail straps aren't meant to hold skins on, but rather to prevent the skin from peeling). Thank you for the quick reply, JBO. 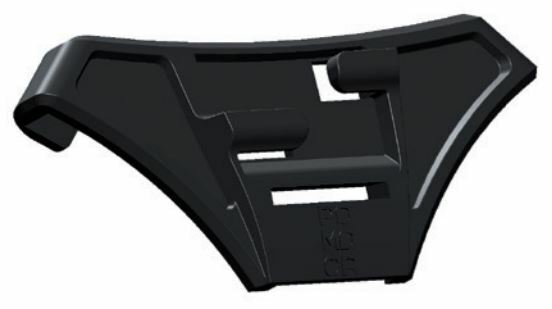 That SKIMO IS out of stock on these clips, in addition to a recent Jan '19 TGR post on broken plastic tail clips, combined with my own experience tells me this is a common failing point of the product. 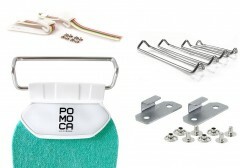 Hello, I have a set of Pomoca Climb Pro S Glide with braided wire tip holder. The braided wire is fraying and about to break. I'd like to convert to the sturdy metal buckles. I'm not sure which size I need. The current buckle is about 2.25" (57mm) wide, and the skin and ski tip are just over 5" (127mm) wide. Would i need both a set of the tips and the buckles? Are the sizes I need in stock? Also, do you have the re-glue in stock? Brian, The Click Lock includes all you need. 95 should work with a normal ski tip, if it is really blunt shaped, go with the 105. Hi Brian, that glue is listed as Adhesive Tube in the drop list. The Click Lock kits have the skin attachment and buckles. What would be the best tool for installing the back fix tail clips? If it is a rivet gun, what gun specifically? Hi Kory, the kit comes with hammer rivets which just get smashed together with...you guessed it...a hammer! Helps to have a hole punch though to get the rivets together through the skin. I want to build skins for a Voile Hyper Vector ski 127-94-111 mm profile in 171cm length. I'm thinking with Fat Back tip attachment and Back Fix Tail clips I can get away with 160 cm material (Pomoco Climb Pro S-Glide) per ski. I also assume that I can add the Twin-tip tail hook sometime in the future. Please Advise. And, Thanks! Hey Jesse! It's totally possible that would work, although it would be a huge bummer to only order 160cm and fall short. I'd say spend the extra dollar or two and order at least 165cm to give yourself some wiggle room. We build skins all day long but we are only human and still mess up occasionally (not an excuse, but definitely a reality), so it's nice to have a bit of room for error if you install the tip and tail backwards or botch the riveting, etc. I broke a tail clip. I don't need the straps and rivets offered with the back fix tail clip kit. How do I order just the clip or three? Hey Denis, unfortunately those clips aren't available as a standalone aftermarket part for the time being. The Black Diamond tail kits have spare parts all over the place and are generally readily available though but would require a modification to your existing skin. Hi Steve, your best bet is to get a Ski Trab tip kit which is designed for those skis. Please note there were two versions of that ski with different attachment systems. You probably need the Attivo kit but possibly an older one (feel free to send us a photo of your ski to be sure). Do you have tubes of Pomoca glue in stock? I don't see them listed. We currently do not have any tubes of glue in stock. We're ordering some shorty- so be sure to check back in the next week or so. can i use some of my old BD Gold Label glue on my Dynafit Speedskins? Hi Mike, nothing is stopping you, but the Pomoca glue is more chemically similar to what's on there. Do you have the Pomoca twin tip tail hooks in stock? Hey Dan! Unfortunately not at the moment and we possibly won't see any more the rest of the season. Let me know if you'd like us to get one for you and we can send it your way! Hi Dan, we just got some more twin tip tails in! Any idea when you'll have the tip buckle holders in stock? Hey Chris, should be within a few weeks! Would you like me to sign you up to our notification list? It'll let you know when the tip buckle holders arrive. Do the pomoca z-hooks work with the holes in tip of Fischer hannibal and transalp skis? Hi David, they sure do! I have DPS wailer 99mm (125mm the tip) 176 cm. What size of the skins should I get M or L and if the tip attachment from 140 skins is not too wide ? Hi Remek, the Ms fit well on that ski. There are a couple tip buckles in the box with different sizes so you should be set. Hi, I have cross country skis 72 mm wide. I'm wondering if the POMOCA 66 tips could fit on it? Thank you in advance. HI Marie-Eve, You need to know the tip size. Nordic skis have a real long tip so i would measure the tip of your ski from the tip, when you hit 66mm that is where the tip loop would sit. If that spot is down near the contact point of the ski and snow it probably wont work. There is 30mm from the 66mm wide part to the contact point. Is it long enough ? If not, could you suggest me an other kind of skin attachments with smaller loop ? Marie-Eve, I dont think thats quite long enough. Unfortunately I dont have anything smaller than that size. I am looking for a tip attachment for some Alpina edged cross country skis. They are 68-60-65. Will the 66 tips fit, I'm no sure what the effective measurement will be once it is installed. Hi Matthew, 66 is the inside width so that will be cutting it close. I would grab the Contour 50s. I have some old school skins I use on my fisher snowbounds. They are 78mm at the tip. Which buckle should I purchase? Hi HRL, you want the skinniest ones, the 66s. I have a pair of Movement Random X which have two notches in the shovel. 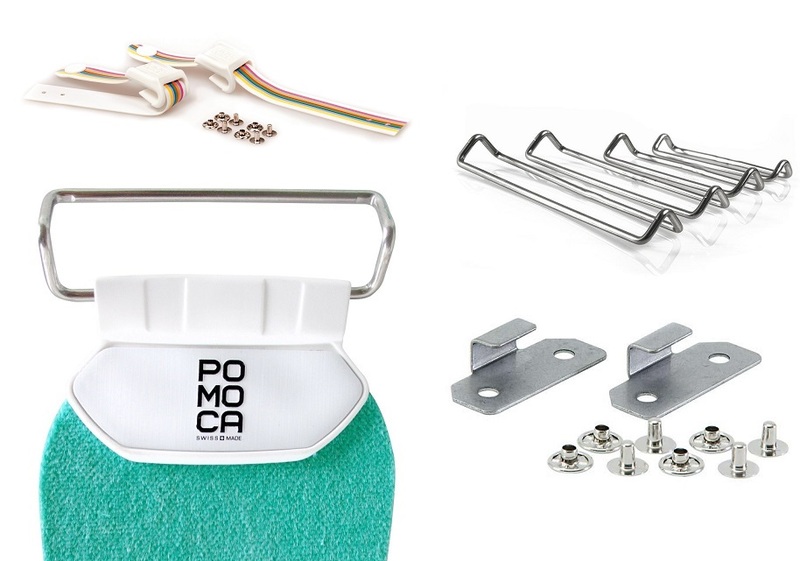 Currently, I'm using a set of Pomoca skins with the wire bails but they are a bit susceptible to damage and I'd like to convert to the metal buckles. The notches are 72mm inside to inside so I assume the 72mm buckles you mention would be the perfect fit but those aren't listed for purchase. Are these the right size and if so, will you be getting them again? Hi Glenn, unfortunately the 72s aren't currently available. Closest are 70s from Trab and 75s from Contour. Does the tip buckle holder x 2 include all of the hardware to attach it to the tip of a skin? Hi Patrick, yes sir, everything needed is in the kit. All I see listed for tip buckles is 66 mm, are there other sizes available? Hi Curt, we have some 72s and 80s left as well, which should be listed. They go up to 105 when we are fully stocked.